The historical roots of women’s day. Fluffy yellow mimosa flowers pinned to lapels, carried in bouquets or decorating table-tops announce in more than 100 countries all over the world the international day dedicated to women. But what are the historical roots of this celebration day and what is its real significance? 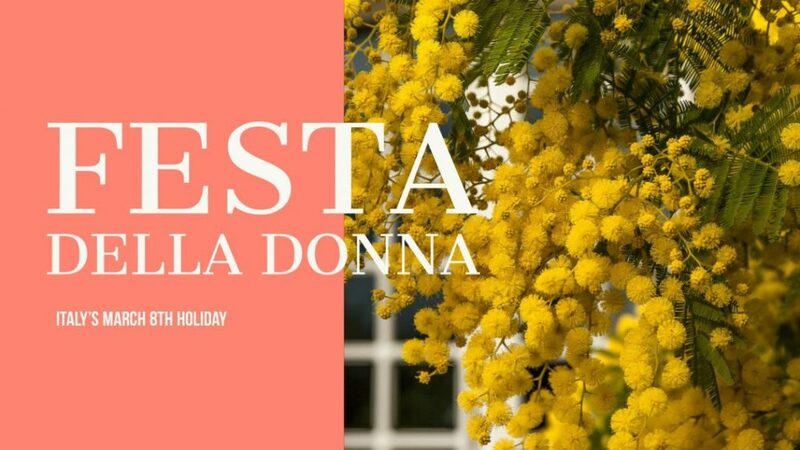 The mimosa flower has become the symbolic gift to offer to Italian women on this day known to Italians as the Festa della Donna. A holiday that today would appear to be about light-hearted socializing with female friends it is actually a day of commemoration with a politically charged history tied to the international Socialist movement for fair labor practices. The movement for fair and safe labor practices gained momentum after the event known as the Triangle Shirtwaist factory fire on March 25, 1911, in which 146 employees of the Triangle Shirtwaist company died, the majority of them women and including many young immigrants from Europe. Some workers died in the fire and others from jumping out of windows to escape. Later testimony revealed the insufficient escape routes for workers and rumors spread that doors to the factory had been intentionally locked. After the fire, groups such as the International Ladies’ Garment Workers’ Union, which had in the two years prior to the fire been organizing with New York City garment workers, grew in number and influence. In discussions of the Festa della Donna, the Triangle Shirtwaist fire represents the culmination of the women’s rights movements around the world, and is one of the specific events remembered on this day. In addition to celebrating with female friends, Italians might observe March 8 by serving a torta mimosa, a yellow cake very similar in appearance to the flower. Restaurants, bars, and nightclubs will offer Women’s Day specials, and many museums and galleries offer free entrance to women. Political rallies and protests have left space to a much more feminine approach.